How is the feeling of doing hard work for something and getting no result? It feels bad. It is always been said that having maximum options make a secure job, but this is not true because sometimes even more of the options can prove less. There are many who go for numerous interviews and end up having none of them, well this disappoints them and they keep thinking about where they went wrong. To convey you in the best manner to the other person can sometimes be a difficult task. The consequences which can lead can be the other person’s showing no interest in the latter. During an interview one should be all clear about what is good and bad for him so that he or she could establish their worth to prospective employers. Failing in doing so can steal away the golden chance. Getting selected for an interview means that the considering team think that the person might prove to be best for the company. But when they realise that the candidate himself is not clear about the goal of his life then this point eliminates them from further consideration. Well this small conversation straight away tells that the candidate is not sure of working in the company. Being confident is a good thing but overconfidence may drown you. Going prepared is always said to be good but saying that one can handle the interview on the spot, means the candidate is unprepared but is overconfident. 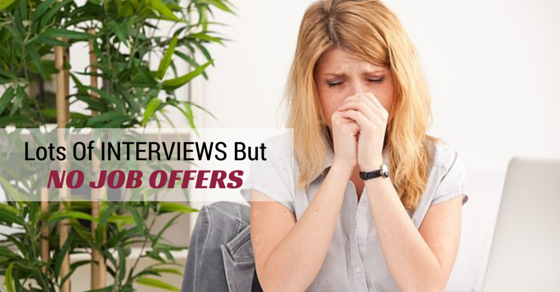 Interviews should never be taken light, the things said in the interview are considered the most before being hired. Blabbering about the things and not giving the appropriate replies may make one’s interview a showdown. It is always said that when one has to represent himself in front of someone then the person should not let the others get aware of his weaknesses. Most of the candidates are nervous during the interview and they kill their interviews by losing the confidence. Sometimes the interviewer confuses the candidate to know his level of confidence but at the end if one is prepared and confident then cracking the interview can be an easy task for him. Preparing curricular vitae may be easy but to get it pass through the prospective employer is not an easy task. The interviewer looks for a resume first before considering for the job. The candidate’s qualifications are not enough to reckon with but the experience is too scrutinized. The interest of person is easily judged by his way of listening and grabbing the things. If the candidate shows no enthusiasm for the job then he is again killing his chance. Giving inappropriate answers to the interviewers and speaking useless clearly signifies that the candidate is just there to pass the time and not serious about the job. Mudslinging about the previous prospective employers can give a bad impression to the interviewer. It can straight away lead to cutting off your name from the list. Today is high time and in present times looks matter the most than the talent. Yes, this definitely sounds awkward but it is the truth. Many employers reject the candidate only because of the looks and here this cannot be denied that many get the job because they have good looks. A person may impress the other with his thoughts but his personal appearance adds a point to his character. Most of the time candidates do not know how to converse. It is the very first thing that when going for an interview the person should have good communication skills. This helps him face the interviewer. Poor communication skills can result in a highly unsuccessful meeting. Well all the above factors just tell where the candidate does wrong? Remember personal appearance counts the most. One should always dress decently before going to an interview because half of the judgment is based upon your looks. If you look better you start the things well. Have a good interpersonal communication. This includes being confident and not letting out the nervousness. Maintaining an eye contact depicts that the candidate is fully prepared and can be considered for the job. It has a good impact. Don’t forget to smile. Also shake hands firmly before leaving, as it gives positive vibes to the employer. As already discussed, the candidates communication skills should be very good, moreover he should be clear about his words and should know perfectly where to speak and where not to. Do not talk indiscreetly or excessively, this can ruin the whole thing. Speak only when necessary and to the point. For example: when asked something then answer without leaving the main subject of the question. And ask only those questions that are evident to your knowledge for the company and that too when given an opportunity. It is always said that giving real life examples can make the whole conversation more realistic. The reason for taking real life examples in the conversation is that it speaks for skills and qualities needed in the job. This is something important but do not ever ask about the salary because this can give the prospective employer an indication that the candidate is money oriented and not attentive towards the interview. This is an obvious thing that if one will be fit for the job then he will be told about the salary package. It is better to let them talk about the salary rather sparking a conversation yourself. Always after the interview is done, follow up the company through mails and telephones very often. This helps to know whether one is being considered or not. Suppose the company interview’s candidate A, after having a good conversation he is being introduced to the company’s employees and is being told side by side that he will be working in this and this department. Now this whole situation does tell that the candidate has made up to the job and may join it soon. But, the very next morning he gets a mail that the company has considered candidate B over him. Yes this would be disappointing for the candidate A but look at the other side of the situation. No doubt the employer praised the candidate A before but may be the other candidate had more potential over the previous one. Remember “when it is right, it is right”. The right opportunities will come at the right time. Hard work is an additional job to find a real one. Also if certain suggestions are followed antecedent, then one might get one’s fingers on the right job. So keep hounding and experimenting for the finest. Previous articleHow to Keep a Positive Attitude at a Job you Hate?